AKIPRESS.COM - Venezuela’s northern coast has been rocked by a powerful earthquake that was felt across the Caribbean and sent people rushing out into the streets hundreds of kilometres away in the capital, Caracas, The Guardian reports. 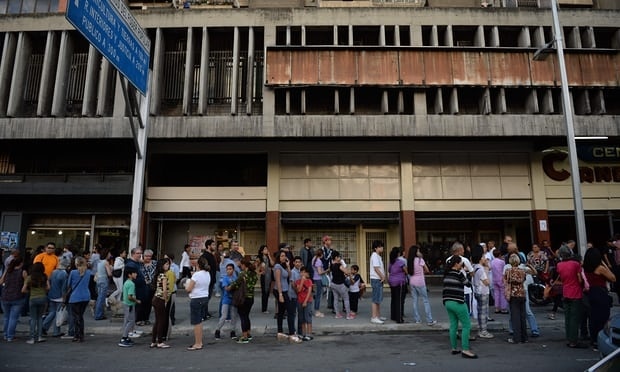 The earthquake was felt more than 600km further east in Caracas, where the crisis-stricken nation’s political leaders were celebrating a “revolutionary” new economic plan they claim will rescue Venezuela’s crumbling economy but economists fear will make it worse. According to Associated Press, the confusing moments after the quake were captured on state television as Diosdado Cabello, one of Venezuela’s most powerful politicians, was delivering a speech at a pro-government rally. “Earthquake!” many members of the audience cried, pointing to the ground, as Cabello and others looked from side to side. “I had never felt such a strong earthquake ,” tweeted María Ramírez Cabello, a Venezuelan journalist who was in Ciudad Bolívar at the time of the quake, alongside images of people running out of a supermarket. Venezuela’s interior minster, Néstor Luis Reverol, tweeted: “We call on all of the people of Venezuela to remain calm.” Authorities were ready to deal with “any emergency”, he added. “So far there have been no reports of any victims,” the minister said.